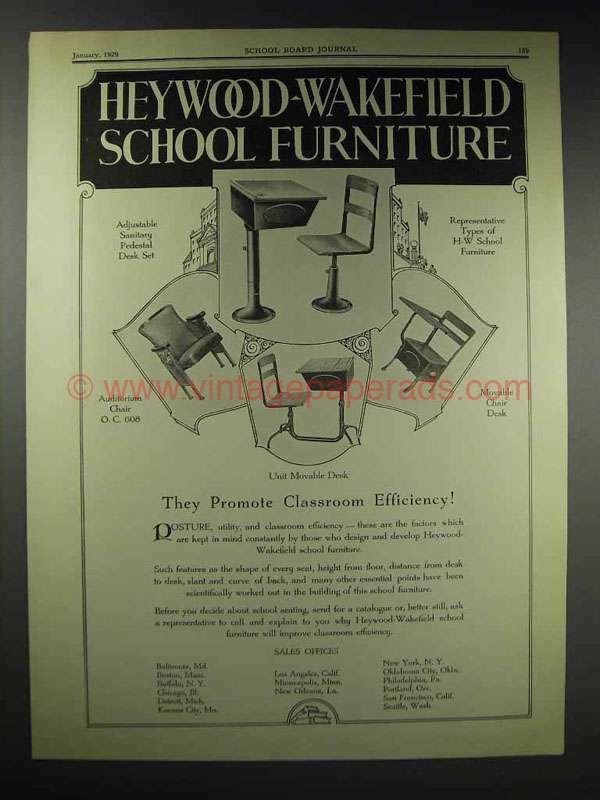 This is a 1929 ad for a Heywood-Wakefield Adjustable Sanitary Pedestal Desk Set; Auditorium Chair O.C. 608; Unit Movable Desk; Movable Chair Desk! The size of the ad is approximately 10x13.5inches. The caption for this ad is 'They promote classroom efficiency' The ad is in good overall condition, with some light wear. This vintage ad would look great framed and displayed! Add it to your collecction today!